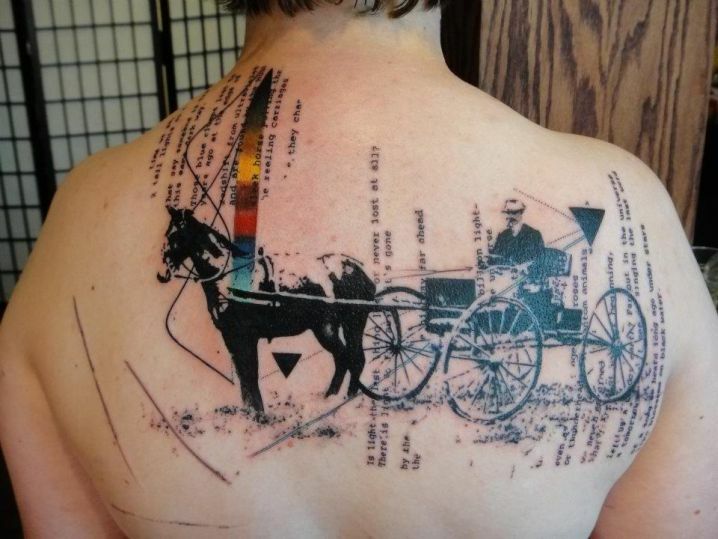 Have you ever thought of getting a tattoo inspired by your favorite watercolor paintings? 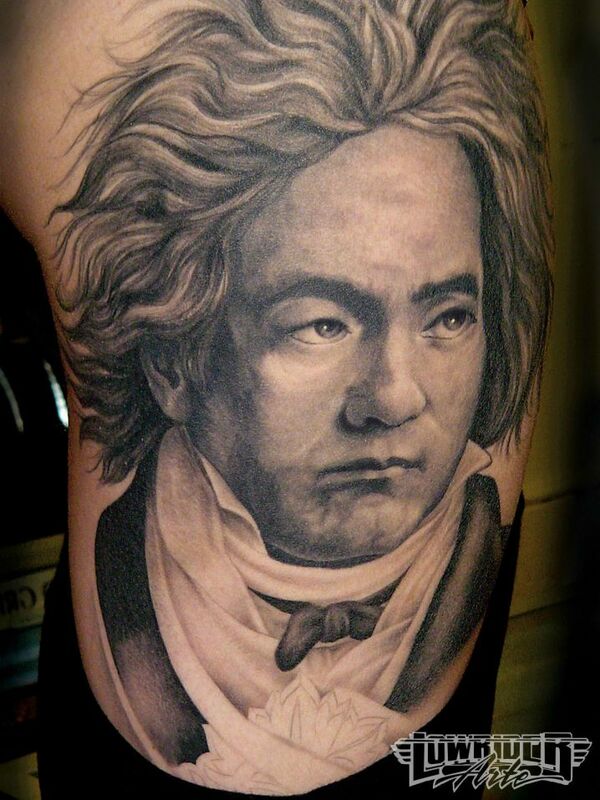 You might think that this idea seems impossible but in this modern day and age, translating these beautiful paintings into extraordinary tattoos is now very possible. More and more tattoo artists are now learning how to do 3D tattooing and several of them are well adept with the most high tech approach to tattooing so your dream of getting an amazing painting tattoo will now finally come true. Below is a list of the top 18 painting tattoo ideas that you might want to consider. Any picture with the beautiful cherry blossoms blooming in the background is truly stunning. 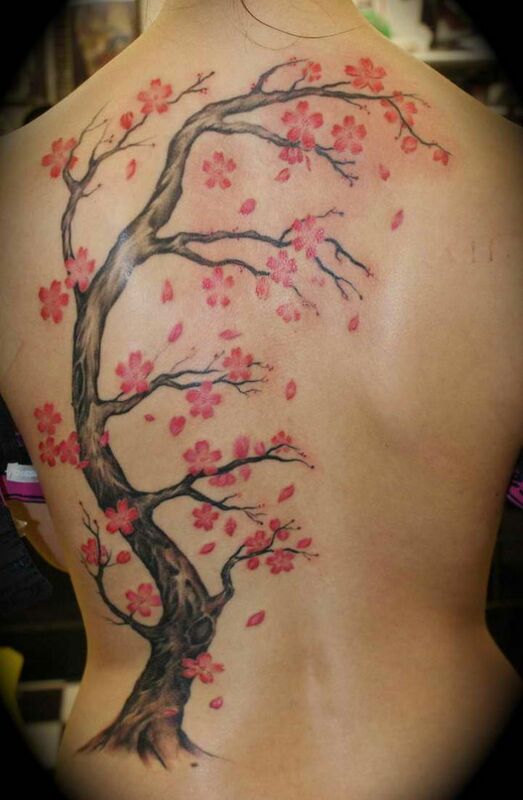 The good news is that it is now possible to have a painted cherry blossom tree inked on your body. This tattoo is ideal for girls who are fond of cherry blossoms as well as those who are looking for a girly themed tattoo with a Japanese twist. Grab one of those stunning vintage photographs in your grandma’s closet and have a tattoo artist ink the photo on your body and the result will be truly amazing. Just take a look at the photo below. What you are seeing at the back of the model resembles those old framed photos hanging on the walls of those houses from the 70s. 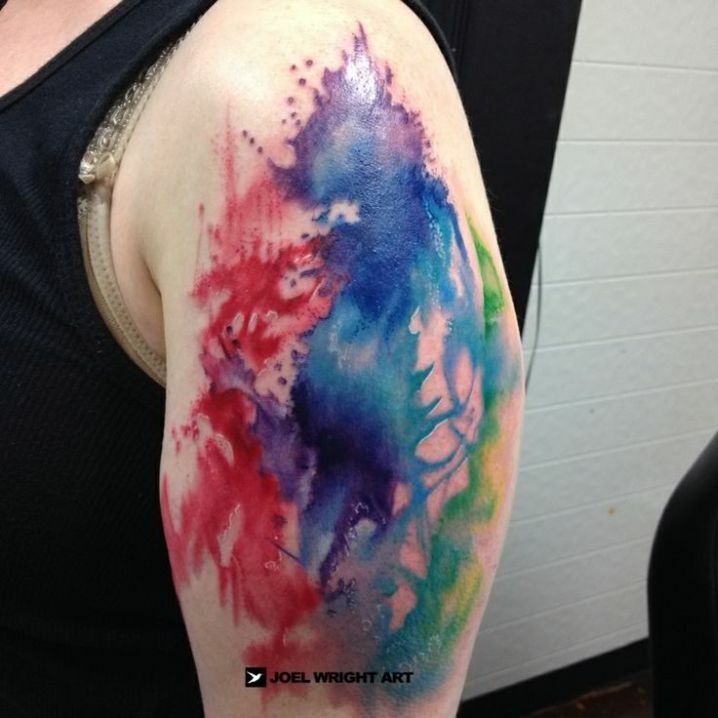 If you are into abstract art, then use that as an inspiration for your next tattoo. If you want to add a lot of colors to your tattoo, then inform the tattoo artist about it. There are lots of ideas online for an abstract art painting tattoo and a good example is the one shown below. Butterflies are the most common tattoo among girls. It symbolizes grace and beauty and is truly a sight to behold. Moreover, butterfly tattoos are also very colorful so they are truly an eye candy for girls. 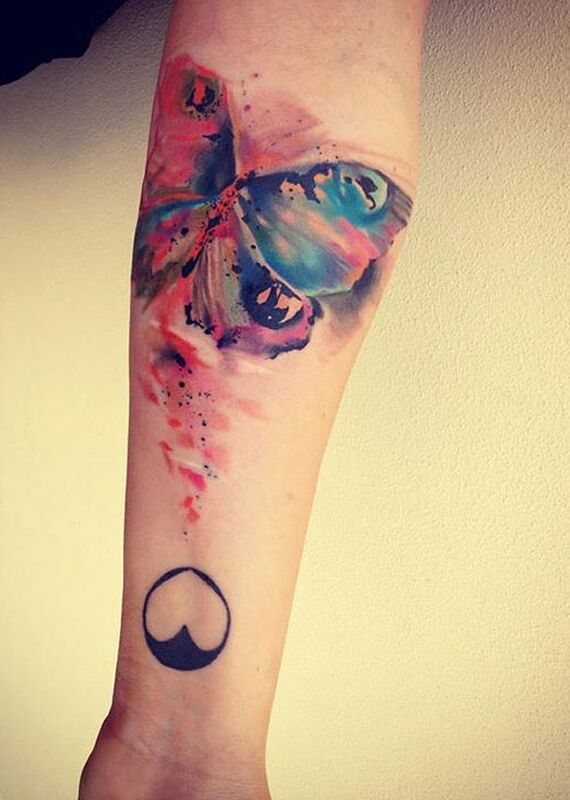 The example below is a great idea for a colorful butterfly painting tattoo. It is infused with some abstract art which makes it to appear even more attractive. 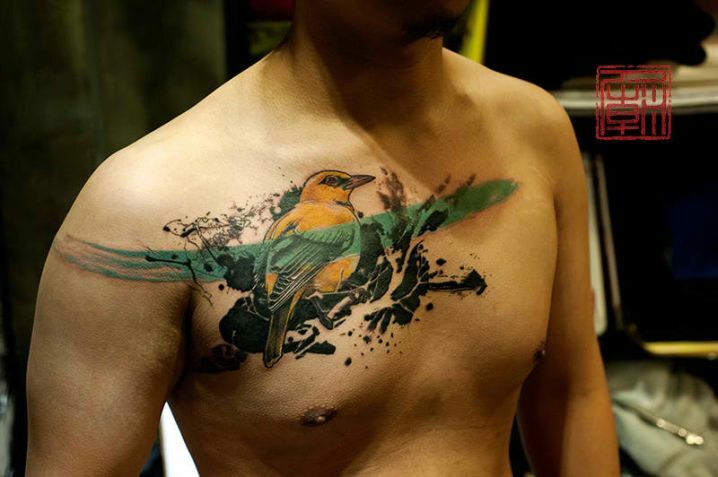 Another amazing painting tattoo that is inspired by abstract painting is this bird tattoo with some abstract elements. Looking at it is like looking at those beautiful paintings that you normally would see hanging on art galleries. Getting a bird tattoo is also said to instill positive feelings because it means the freedom to do the things you want in this life. Tiger represents bravery or fearlessness and it also means royalty. It is for these reasons why you will find so many people getting a portrait of a tiger inked on some parts of their body. 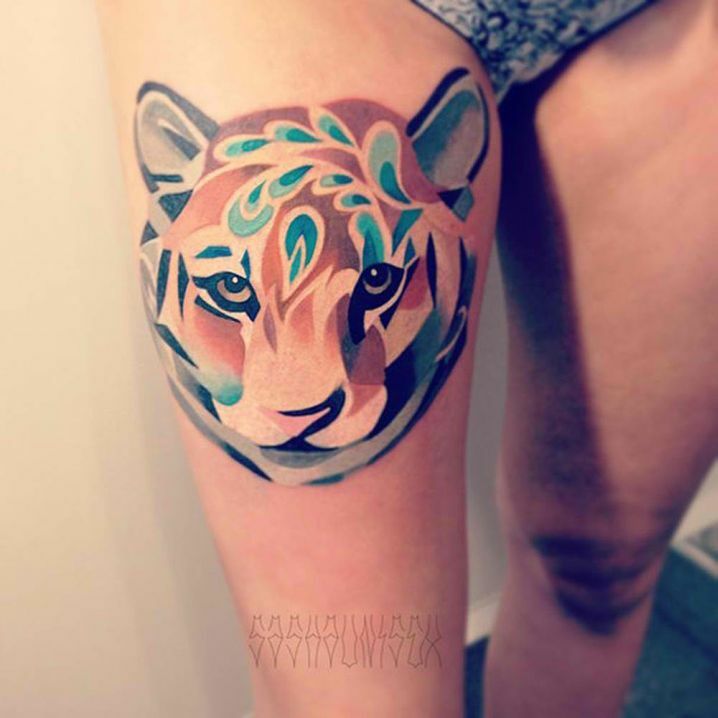 This picture of a tiger portrait tattoo resembles that of a beautiful painting and it is a great idea for those who want a simple and symbolic picture of a tiger inked on their body. Girls love a peacock feather tattoo for so many reasons. This bird signifies elegance and power and since it is filled with so many attractive colors, it also symbolizes feminism. 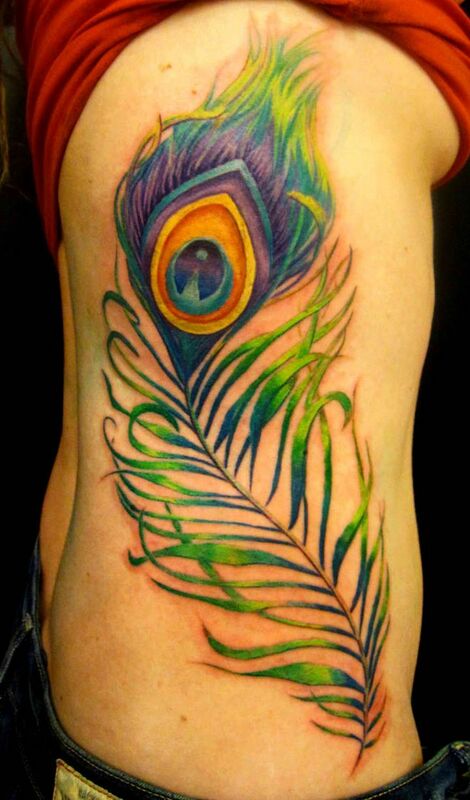 Just take a look at the picture below of a painted peacock feather tattoo below. It looks really attractive and it truly exudes elegance and beauty. Getting a tattoo inspired by a Korean painting such as the one shown below is also a great idea. It is very unique and is truly artistic. Looking at the tattoo below would make one think that an oil painting was used to paint the scenery at the back part of the body. For some people, their tattoos are an expression of their faith. Christians who want an image of Christ inked on their body would probably love this picture of a painted Christ tattoo as shown below. 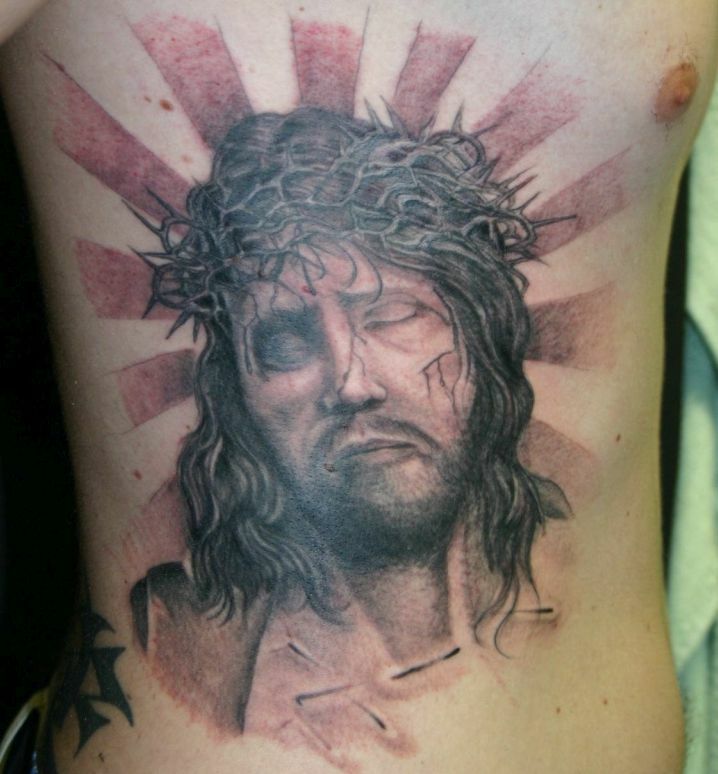 This tattoo was inspired from a painted image of Christ. It is truly very creative and unique. Japanese inspired painting tattoos are becoming popular today, especially those tattoos that have some Japanese anime characters in them. The picture below is quite simply a thing of beauty and girls who want a simple Japanese inspired tattoo that is very feminine should consider this idea for a painting tattoo on their back. Phoenix represents resurrection and people who are trying to live a renewed life would want to have a picture of a beautiful phoenix bird inked on their body. 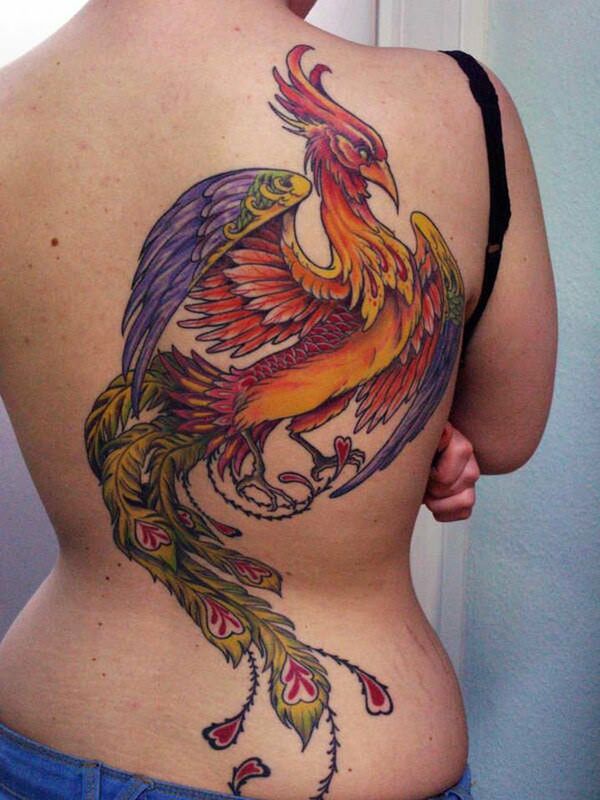 This dancing phoenix tattoo looks like a beautiful painting hanging on your wall. It is filled with so much color, thus, it is a great idea for girls who are looking for a beautiful and attractive Phoenix bird tattoo. 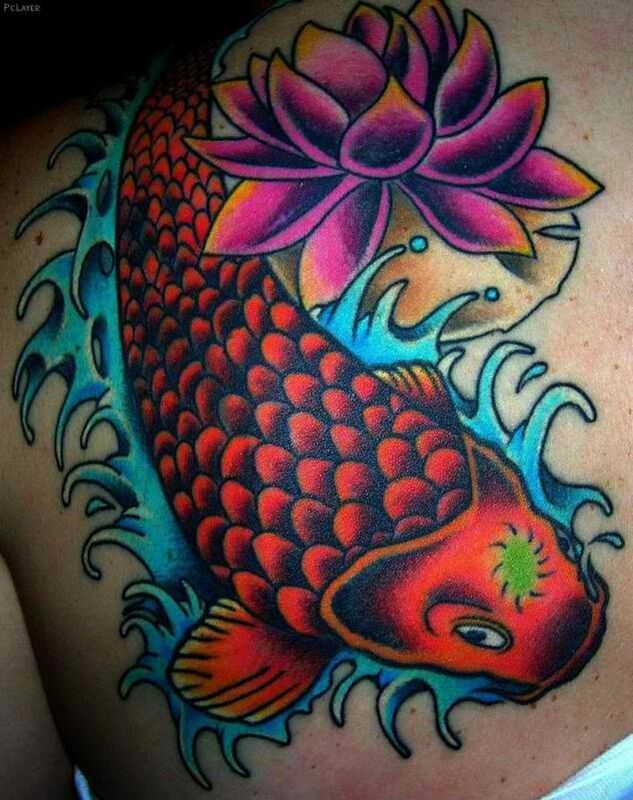 Another colorful painting tattoo is this tattoo of a Koi fish with a Lotus flower beside it. This tattoo is very symbolic. The fish symbolizes luck or fortune and so as the Lotus flower. The tattoo is intricately designed infused with various attractive colors which makes it look gorgeous. 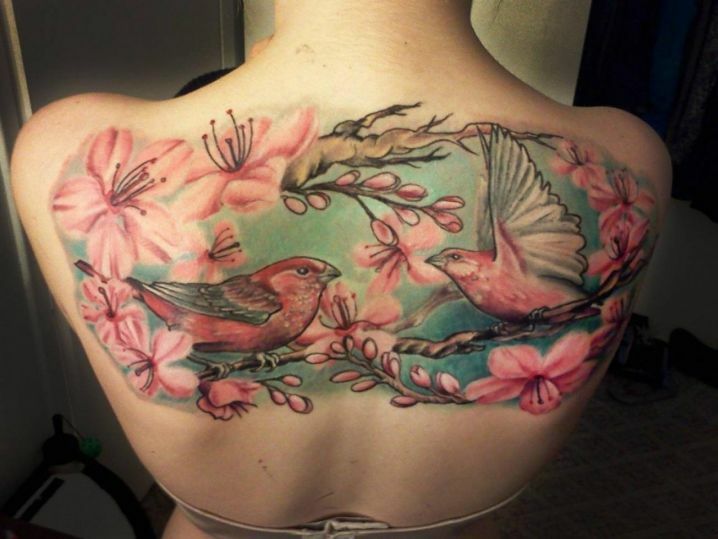 This painting of two colorful birds surrounded with pink flowers is a great idea for girls who wanted to have a beautiful painting inked on their back. As mentioned, getting a bird tattoo is very symbolic since birds represent freedom, hope and peace. The flowers surrounding the two lovely birds may have meanings as well but whatever the meaning is, this painting tattoo is no doubt amazing. Do you fancy those pin up girls that you often see in magazines and posters? 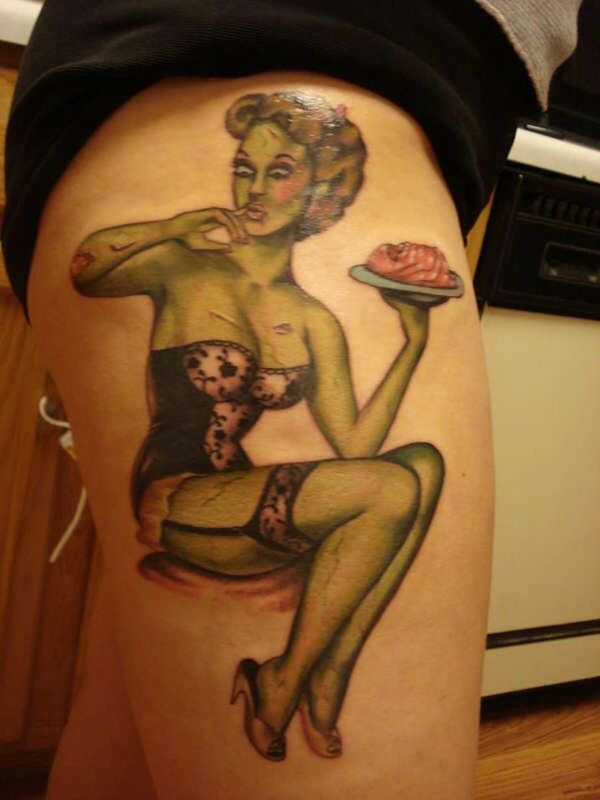 If so, then why don’t you get a tattoo inspired by your favorite pin up girl? Having the picture inked on your body is truly unique and this means that it is unlikely that you will bump into someone with the same tat as yours. 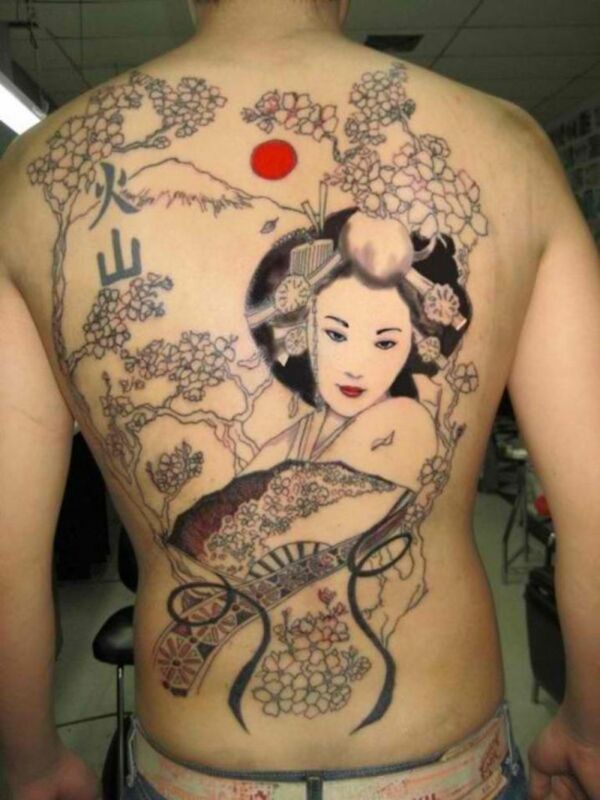 A painting of a geisha would look really lovely when inked on your body. Just look at the Japanese inspired tattoo below. The geisha in the middle is very stunning to look at and the beautiful Cherry Blossoms in the surroundings with the Mt. Fuji makes this Japanese inspired tattoo truly eye catching. 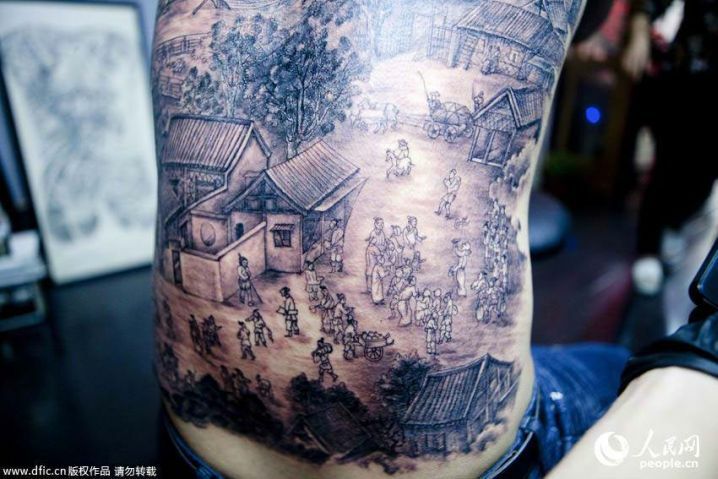 The beautiful scenery below is also a great idea for a painting tattoo. Having this photo inked at your back is like asking an artist to paint your body with the use of a colored pencil. It is truly one-of-a-kind and is a definite must for those who want an attention grabbing tattoo at their back. 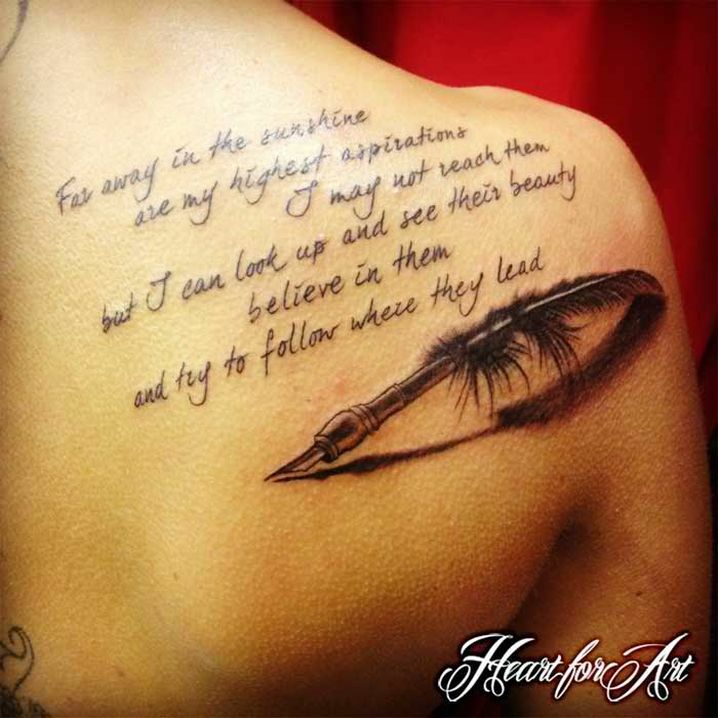 Quotes and sayings are among the most common tattoos these days. As you know, people would want to have a tattoo that has a significant meaning in their life and these quotes and sayings might be something that they find truly inspiring. Aside from quotes and sayings, others would have some lyrics of a song and excerpts from their favorite book inked on their body. The best way to honor a dearly departed is to get a memorial tattoo and the best memorial tattoo is a portrait of the deceased. Whether it’s your dad, mom, wife, best friend or your loved one, getting their portrait tattooed on your body is certainly a great idea. Others would even choose to have a portrait of their deceased pet painted on their body. It truly is a great way to commemorate their presence in our life. These amazing painting tattoo ideas are truly inspiring. 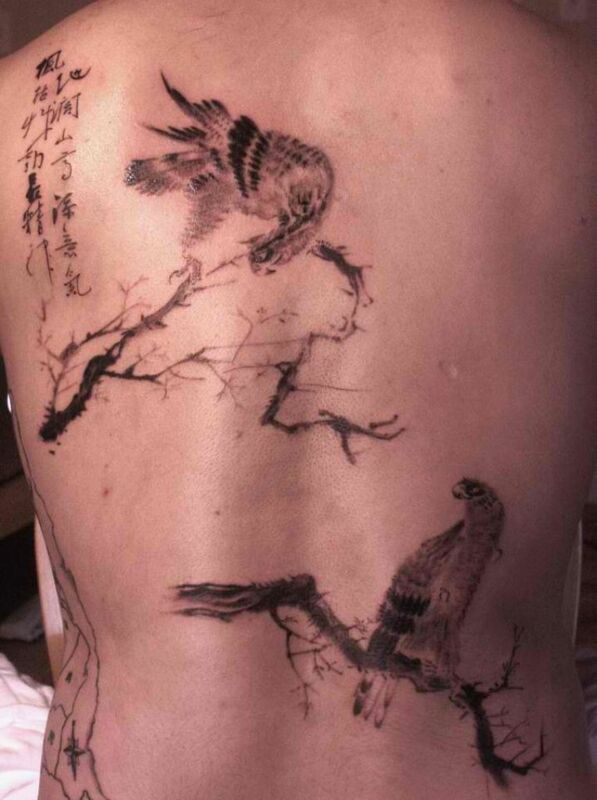 So if you want the kind of painting tattoo that will make you to stand out, choose from one of the list above. These painting tattoos are not only attractive but they come with symbolic meanings, too.